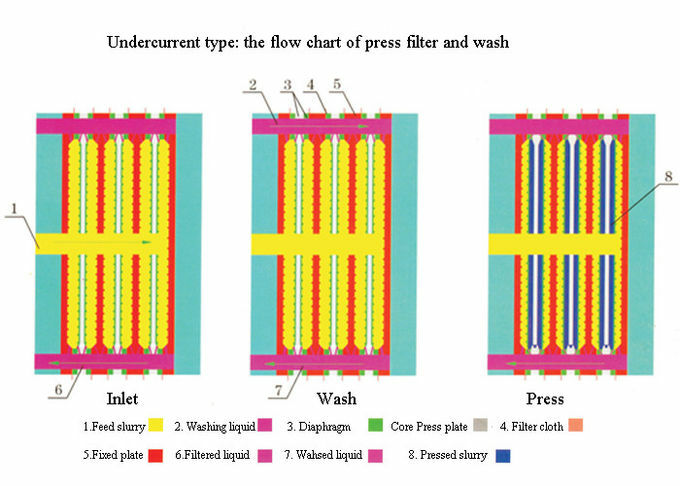 The chamber filter press (also known as Plate and Frame filter press), which has many benefits. In particular, one is that for such a large piece of machinery it has few parts to it. The different parts to a filter press include the steel skeleton, the plates, the hydraulic pump and cylinder, the plumbing which includes the manifold and center feed pipe, and the filter cloths. 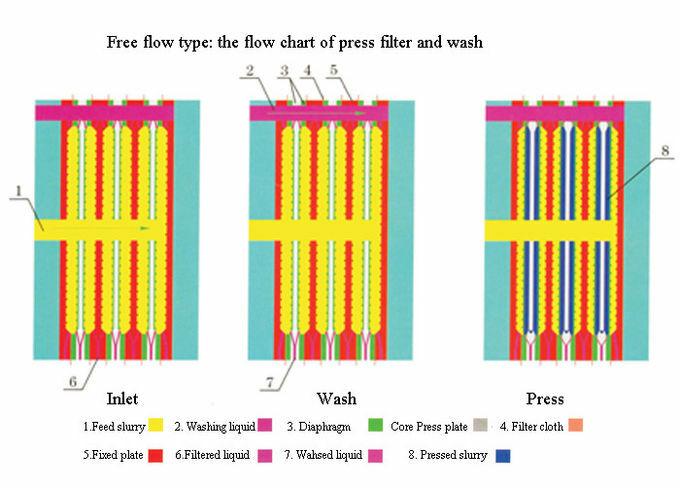 The simplicity of the filter press means there is little maintenance work that is needed to be done to the press. The filter press skeleton and filter press plates need zero repairs and as long as the press is operated properly they will last a lifetime. 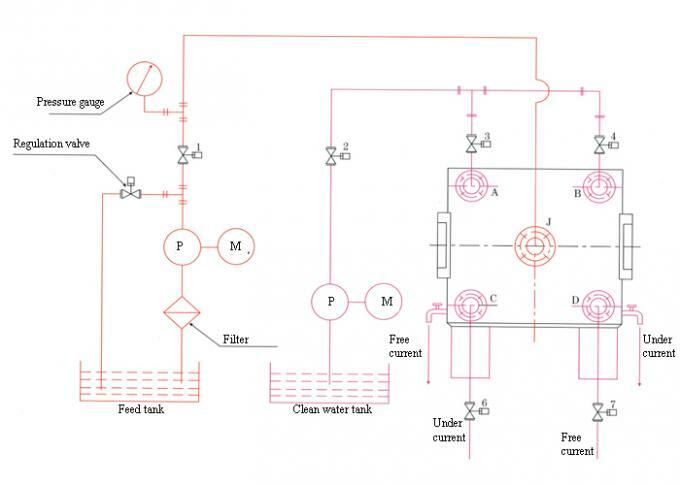 pressure developed by the sludge pumping system. 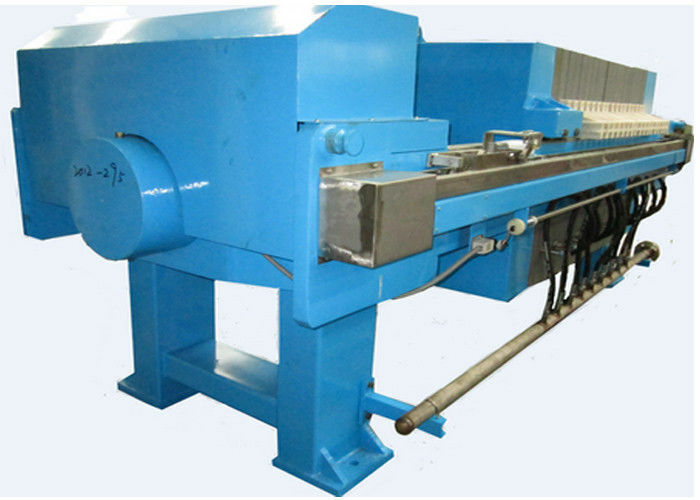 This vertical plate layout forms watertight filtration chambers allowing easy mechanisation for the discharge of cakes. support and carried away by internal ducts. Closing of the press: as the filter is completely empty, the moving head activated by the jacks calmps the plates. of a cake in the first chamber before the last ones have been filled. duct, which is still filled with liquid sludge, are purged by compressed air. adjusted to account to the cake texture. 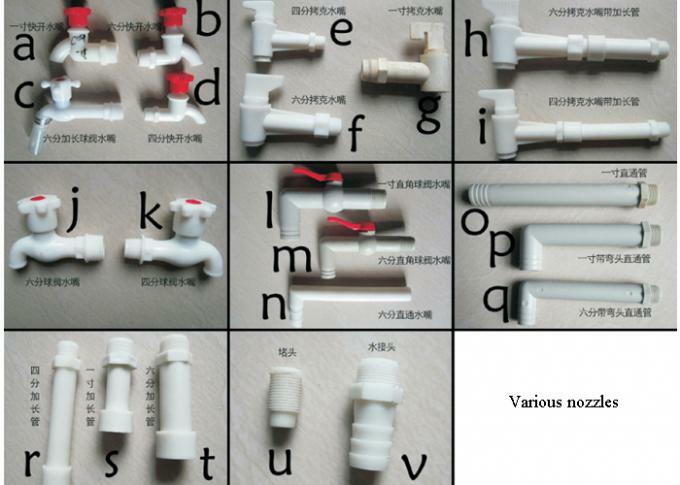 every the filter press model the chamber volume and the filtering surface depend on the number of plates in the filer. In practical terms pressing times are less then four hours. Hydrophilic inorganic sludge: the filer press generally requires the addition of lime only. Hydrophobic inorganic sludge: it is very dense and ideal for the filter press. It is dewatered without any preliminary conditioning. smooth running of the filter; clothes have to be degreased at frequent intervals. Quality - Rapid filtration, highly automated, stable performance, easy operation and equipped high temperature, high pressure, anti-corrosion, reliably sealing filter plates. We strictly execute ISO9001 quality control system, striving to offer our client the products with advanced technology and best quality to achieve the best filtration. Service We always have the faith that customer is highest. Before selling out products, we offering technology advice, solution design and give guidance on installation and commissioning. We always follow the using status of our machine, striving to offer all-round premium service. Technology We constantly adopt advanced technology for filter press to make the products apply with the most innovative science & technology. 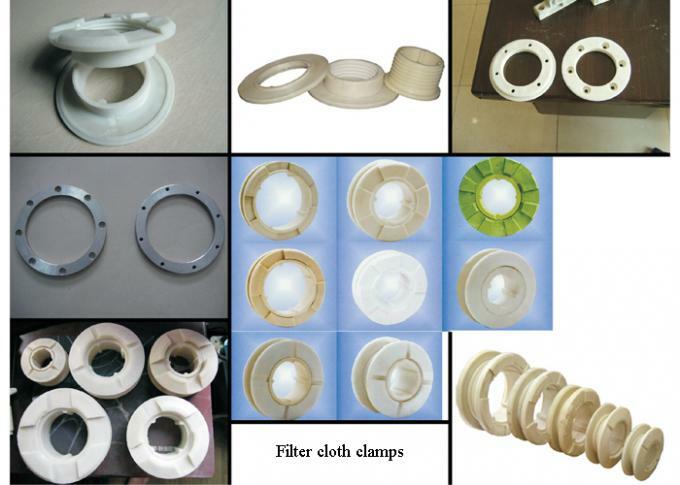 We also can make custom designed filter press, filter plates and accessories. To meet the market demand, we brought novel & leading technology filter presses together with German designers.